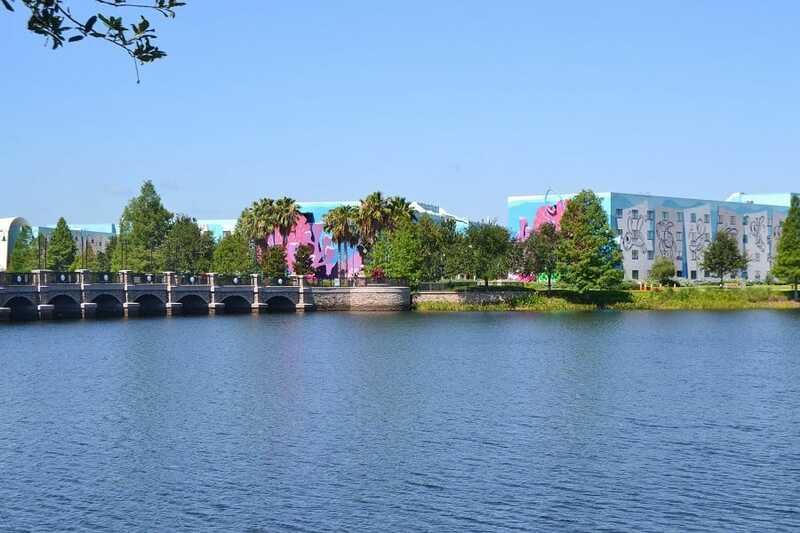 When choosing a Disney resort there is a lot to consider. For many people, the most important factor is price. 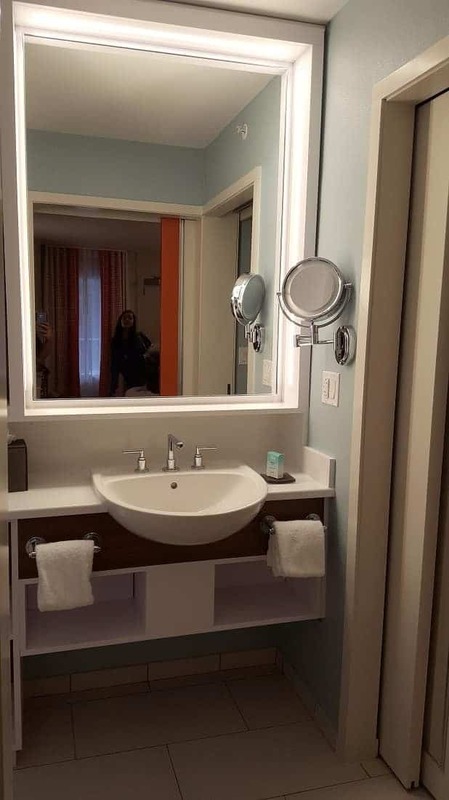 Disney resorts can range from $95- $500+ per night. The factors that cause such a huge variation in price include location, amenities, and restaurants. If you are looking at going on a budget, in my opinion Pop Century is the Best Disney Value Resort. Pop Century’s theme is Pop Culture spanning from 1950 to 1990. The Pop Culture theme is evident in all the surroundings, from the buildings to the pool. You will find buildings featuring things that pertain to each century; things like yo-yo’s, Rubix Cubes, and roller skates. It’s fun, vibrant vibe is one that the entire family will enjoy. Pop Century resort has three different pools. The largest of the three is Hippy Dippy Pool which features flower-shaped water jets. Nearby is also a kiddie pool area with a pop-jet water fountain. While the pool lacks a slide (that only Moderate & Deluxe resorts feature) it has plenty of room to move about with ample poolside seating and a full service bar. There are no table service restaurants at Pop Century, but they do have a 7-station food court with plenty of seating. It is located just beyond the Pop Century gift shop. The food in the the Pop Century Quick Service restaurant is fine in terms of quick service dining, but here is one reason why I think Pop Century is the best Disney value resort… you can walk across a short bridge over to Art of Animation resort which has the top quick service restaurant of all the value resorts! The walk is easy and the food there is as good as it gets for value resorts. 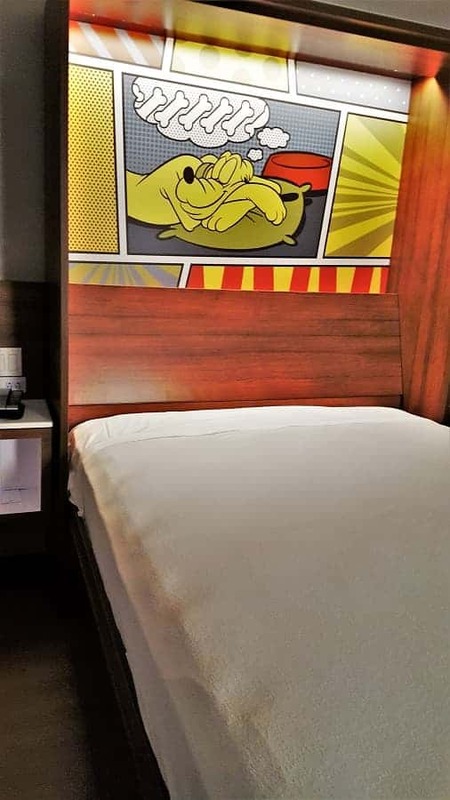 Another reason that Pop Century is best value resort at Disney is due to their rooms. Pop Century is currently undergoing a refurbishment and the rooms are pretty awesome. The carpet has been replaced by vinyl and the furniture is modern in design. The rooms also feel more spacious because they have a new layout. 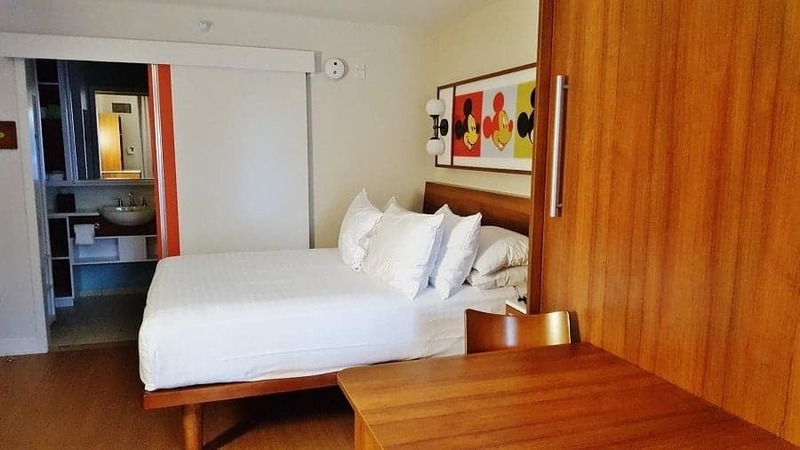 Usually when you walk into a Disney value resort you will find two beds side by side, but in the refurbished rooms, there is a Murphy Bed that when not in use, is a table! During the day, it gives you more room to relax and at night, when you have turn down service, the table is made into a bed. If you opt out of turn down service, the bed is super easy to do yourself. It is already made & ready to go! Bathrooms have also been streamlined and pocket doors added to help with privacy. There is plenty of storage space and you’ll still find ironing boards and hanging place for clothing. Probably the more important upgrade in these rooms is in regards to charging your devices. 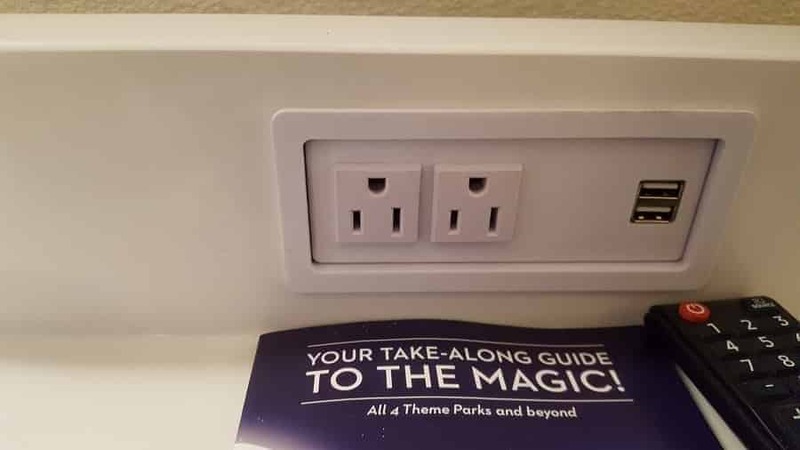 Not only have they added plenty of plugs (that they are always lacking in Disney resorts) but they also have USB ports. Another perk to staying at Pop Century Resort is that it is super close to Epcot. This means that you can watch Epcot’s fireworks from the parking lot! It is a pretty cool view and you don’t have to get caught in the traffic coming out of the park to enjoy a Disney light show. 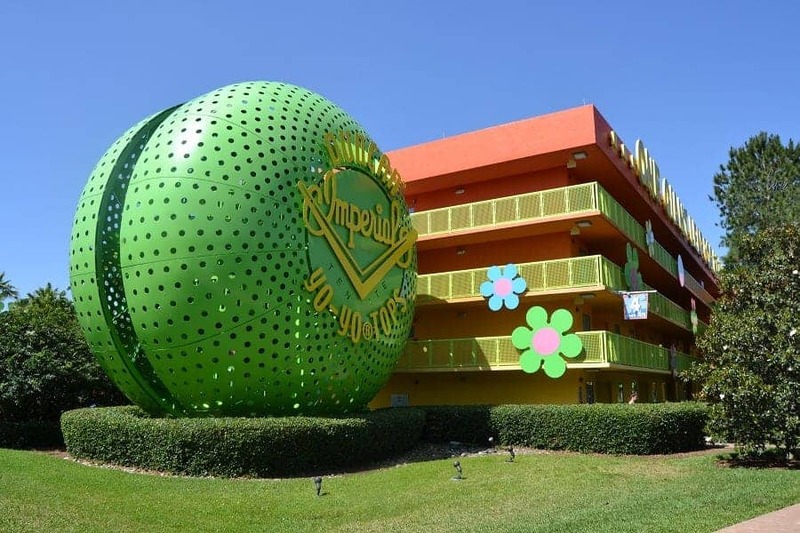 Overall, you can’t go wrong anywhere you stay at Disney, but we feel that Pop Century is the best value resort at Disney. 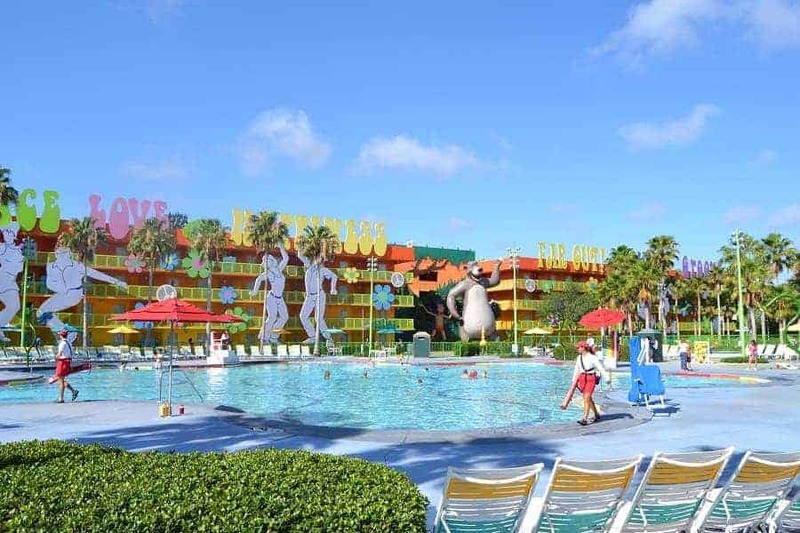 Have you stayed at Pop Century Resort? What did you think? Nice post! We live in Orlando, so we don’t really stay at the resorts. But we love wandering around them and Pop Century is definitely a fun one!The bright colors are great and it is a fun trip down Memory lane for my husband and I who were children of the late 80’s-90’s :) You are spot on with the walk to Art in Animation! My kids love the Cars play land over there! We really love Disney’s Pop Century Resort. We have stayed there twice and we have a 3rd visit booked for this summer. Love the new remodeled rooms, and we cant wait to get the opportunity to take a ride in the Skyliner! Great post!